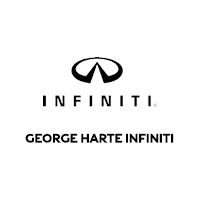 Upgrade your daily drives when you finance a new INFINITI from George Harte INFINITI. Our new INFINITI inventory includes popular sedans like the INFINITI Q50 and Q60, as well as spacious luxury SUVs like the INFINITI QX30, QX50 and QX60. Come see how you feel behind the wheel of the new INFINITI Q70, or make room for the whole crew in the stylish INFINITI QX80. No matter which INFINITI you’re interested in, our financing team will work to secure you an INFINITI lease or loan that fits into your budget. Schedule an INFINITI test-drive and shop the INFINITI cars and SUVs for sale at our INFINITI dealership near New Haven, CT.